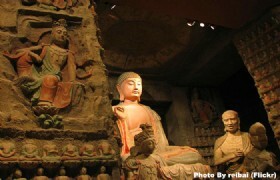 This tour is specially designed for the exploration of the ancient Xian at its most popular places of interest. Detailed Itinerary: Our tour guide will pick you up at Xian Xianyang International Airport and transfer to hotel for check in. Enjoy the remainder of the day. 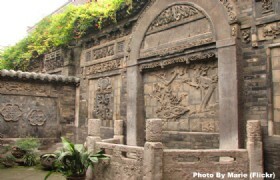 Detailed Itinerary: Your Xian exploration will begin with an amazing trip to the Ancient City Wall. Being the City Wall is the largest and best preserved Ming Dynasty city wall, it is a famous landmark in Xian. Visiting the City Wall, you can not only learn city construction and architectural arts in ancient times but also you can get good views of Xian city. Our guide will then transfer you to Big Wild Goose Pagoda square. It is a famous Buddhist pagoda in Xian of historical significance. Built in the Tang Dynasty (618-907), Big Wild Goose Pagoda is where to admire Buddhist religious culture and its attractive architecture. Also you will enjoy the music fountain at the Big Wild Goose Pagoda Square. Later you will visit the Tang Paradise Theme Park. The park features numerous buildings, squares, and gardens, all incorporating features of traditional Tang Chinese architecture. Xian Ancient City Wall: The Ancient City Wall is one of the one of the oldest and best-preserved city walls in China. 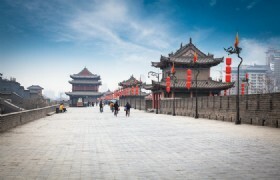 It is regarded as one of the famous landmarks of Xian. Big Wild Goose Pagoda: Big Wild Goose Pagoda is one of the most famous tourist attractions in Xian. 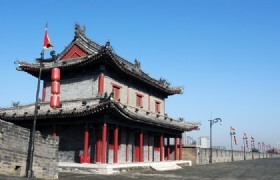 It is located in the compound of the Daci’en Temple in the southern suburbs of Xian. With its magnificent architecture and being a well-preserved Buddhist pagoda, the Big Wild Goose Pagoda is considered a landmark of Xian and is a must-see site for tourists visiting Xian. Detailed Itinerary: Today you will be first transferred to Ban Po Ruins and then you will visit the amazing Terracotta Warrior and Horses. 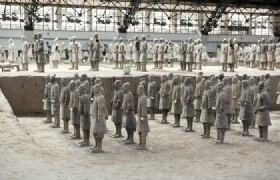 Known as “the Eighth Wonder of the World” and the most significant archeological excavations of the 20th century, the Terracotta Warrior and Horses provide a large number of collections of life-size terracotta soldiers and horses, ancient weapons and chariots made 2,000 years ago for admiration. The electric bus is included. Transfer back to downtown to visit Dongxin Street Mosque. Dongxin Street Mosque is a rather new mosque compared with those old mosques in Xian like the Great Mosque and Daxuexixiang Mosque. 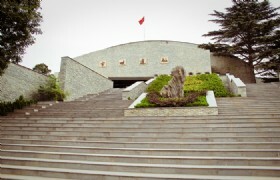 It was first constructed by Hui people in 1939. And it went through several times of rebuilt and renovations at later times. 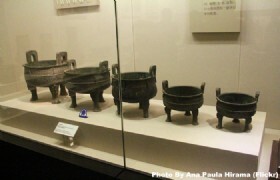 Banpo Neolithic Village Museum: Banpo Neolithic Village is situated in the Yellow River Valley east of Xian. The village contains remains of carbon dated settlements which can date back 6,700 years. Terracotta Army: Terracotta Army, also known as Terracotta Warriors and Horses, is one of the most famous tourist attractions in China. 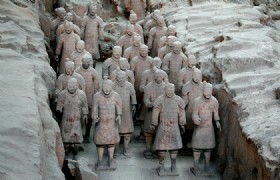 Reputed as the World’s Eighth Great Wonder, the Terracotta Army is the most significant excavations of the 20th century. For tourists go for Xian tours, and travelers visiting China for the first time, the Terracotta Army is a top attraction not to be missed out. 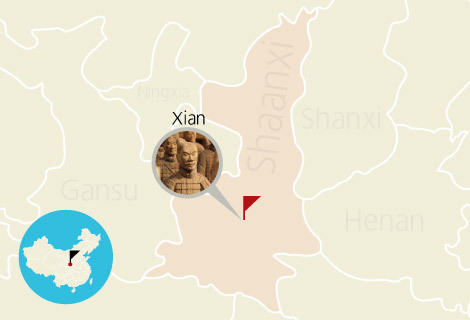 Detailed Itinerary: This morning you will be taken to visit the Shaanxi History Museum, which is China’s first large-scaled modern national museum to get an overview of the Chinese history and culture. Continue to Small Wild Goose Pagoda (closed on Tuesday). Do some shopping at the Northwest Commerce & Trade Center, a wholesale market that sells almost everything from local delicacies, food, antiques to souvenirs. 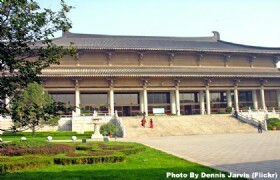 Shaanxi History Museum: Shaanxi Provincial History Museum is located in the northwest of the Big Wild Goose Pagoda in Xian. 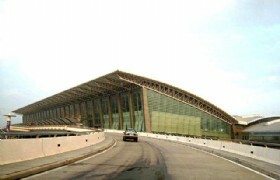 The museum was built in 1983 and opened to the public in 1991. Covering an area of 65,000 square meters, the Shaanxi Provincial History Museum is the first large-scale modern national museum in China. 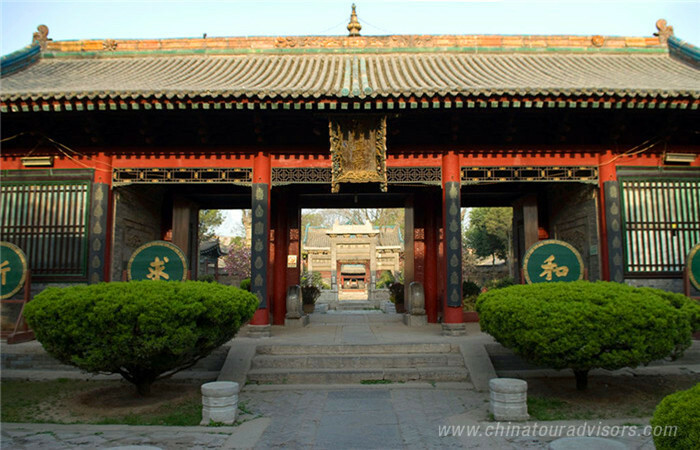 Now the museum is a must-see tourist site for tourists traveling to Xian and is a great site to display the history, culture, and civilization of both Shaanxi Province and ancient China. Detailed Itinerary: After you check out of your hotel, you will be transferred to the Great Mosque which is a must-visit for a muslim in Xian. Later you will continue to the Muslim Street to experience the authentic Muslim culture and try various delicious Muslim food. After dinner, you will be transported to the airport for departure. Xian Great Mosque: The Great Mosque, also called the Huajie Lane Mosque, is known as one of the two oldest mosques in Xian. 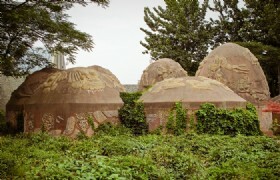 The Great Mosque is situated on the No. 30 Huajue Lane of Xian City. 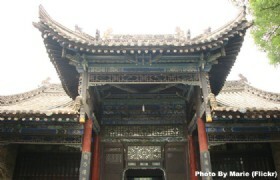 As a famous tourist site in Xian, the Great Mosque has become a must visit for tourists traveling to Xian. 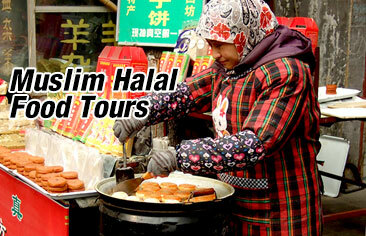 Xian Muslim Street: The Muslim Street, also known as Huimin Street or Muslim Quarter, is a famous and popular tourist spot to experience the authentic Muslim culture and try various delicious Muslim food and snacks in Xian. 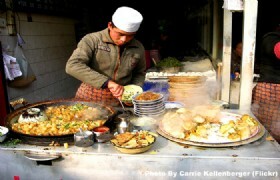 The Muslim Street is a Muslim community located in the north of the West Street in the city center of Xian. 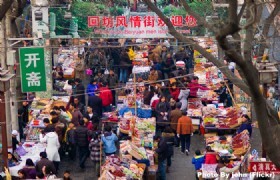 It is consisted of blocks of Beiyuanmen Street, North Guangji Street, Xiyangshi Street and Dapiyuan Street. Entrance Fees: To scenic spots as listed in the itinerary. Meals: All meals as specified in the itinerary. Private Transfers: Transfers between airports, hotels and scenic spots while sightseeing, by private air conditioned vehicle with a driver and English-speaking guide. 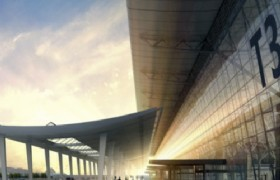 International Airfare or Train Tickets to enter or leave China. Personal Expenses: such as laundry, drinks, fax, telephone calls, optional activities, sightseeing or meals not included in the tour itinerary. Tips to Guide and Driver. * Child with bed charge 100% of Adult, no bed charge 75% of Adult. * Prices may vary according to your travel time and are higher in the high season, e.g. Labor’s Day (Apr 29-May 3), China National Day Holiday (Sep 29-Oct 8), and Chinese Spring Festival. * If only one person is traveling then the single room supplement is not required. If, for example, three people book a hotel, with two in one room and one in another room, the single room supplement must be paid. * You will enjoy more discount if there is more people join the tour.